There really seems to be a push for cellular IoT those days, with new hardware coming up every week. Following up on their NB-IoT shield for Arduino last year, SODAQ has now launched two versions of SARA boards based on u-blox SARA LTE-IoT modules, and u-blox M8Q GPS/GNSS module. Both boards are Arduino compatible thanks to a Microchip SAMD21 MCU, and while u-blox SARA board follows the Arduino form factor, u-box SARA SFF is much more compact (50×25.4 mm) and potentially easier to integrate into a project or product. Another pretty unique feature (AFAICT) is that you can power the board directly with a solar panel. 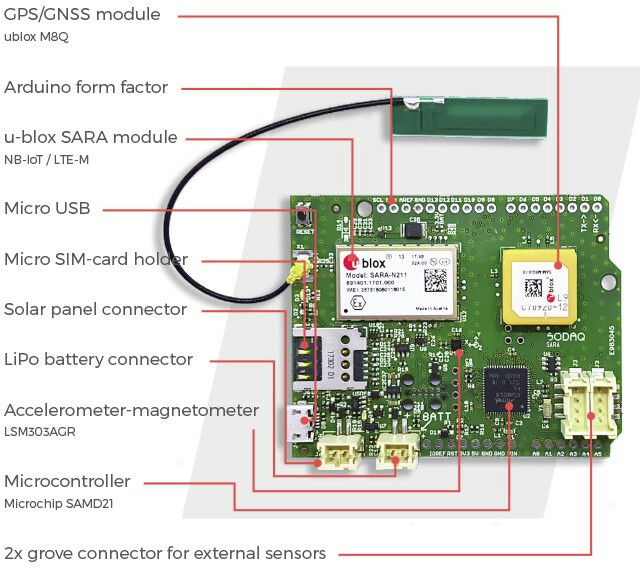 Somehow the company managed to pack most of the features of SODAQ SARA in their Small Form Factor (SFF) version, except they replaced the GNSS module with a smaller one (unnamed) and used an u.FL connector for an external GNSS antenna. At 50×25.4mm the board is said to be small enough to fit into a matchbox. 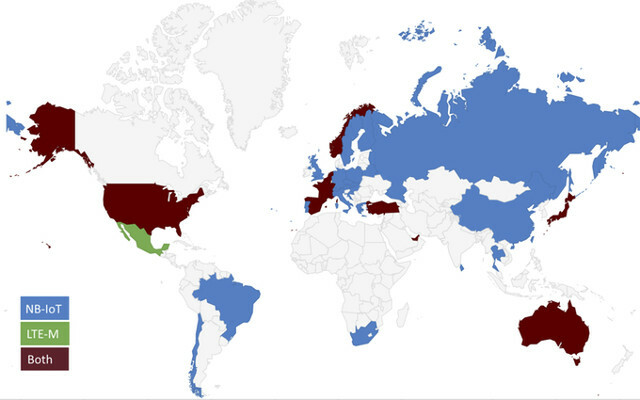 To select the best board for your need, the map below showing NB-IoT / eMTC coverage may help. The map above is good for reference only, as for example while NB-IoT has been deployed in Thailand (highlighted in blue), there are only a few base stations support NB-IoT at this stage, so the LTE-IoT network is not available countrywide. You may want to check GSMA website for more details info about eMTC/NB-IoT deployments including the name of providers in each country. The company launched a Kickstarter campaign to fund mass production aiming to raise 25,000 Euros (about $30,700 US). Shipping adds 10 Euros to European countries, and 20 Euros to the rest of the world, and delivery is planned for March to June 2018 depending on reward.